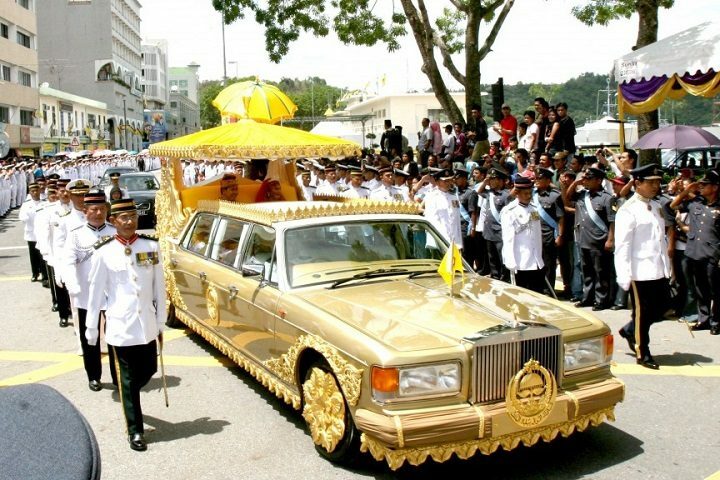 Sultan Hassanal Bolkiah is the world’s biggest car collector, with more than 5000 vehicles worth $5 billion. He also has the largest private collection of Roll Royces. It is believed that his family bought half of the Rolls Royces sold during the 1990s. One of the crown jewels of his vast collection is a Rolls Royce Silver Spur stretch limousine covered in pure 24 carat gold. The car was custom-built for his wedding day.